This is a Ramset RAM 100 Slide Gate Operator. This affordable gate opener features a direct-drive 1/2-horsepower motor and can handle gates up to 700 lbs. 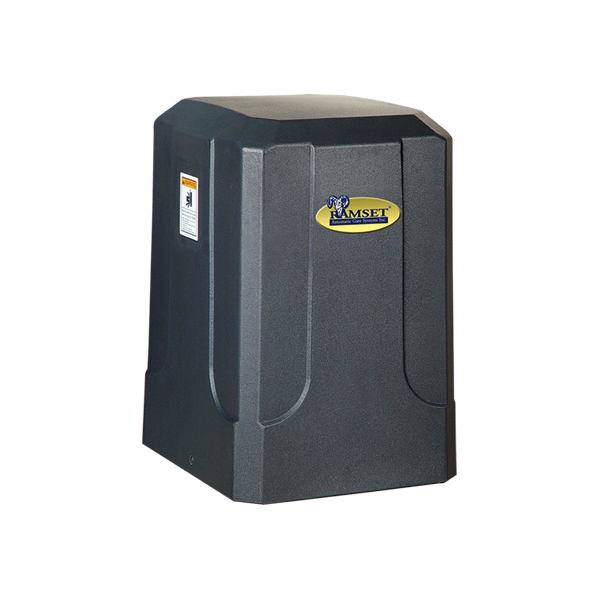 Simple to install and use, it comes equipped with the foot pedal release safety system, allowing easy manual opening and closing of the gate during power outages and emergencies. The unit also features Ramset’s Whisper Quiet motor operation.